Two cherry trees in full bloom together form a Tree of Life. Each tree is softly textured in watercolor brush strokes. Cherry blossoms and leaves are beautiful no matter what season you are getting married. 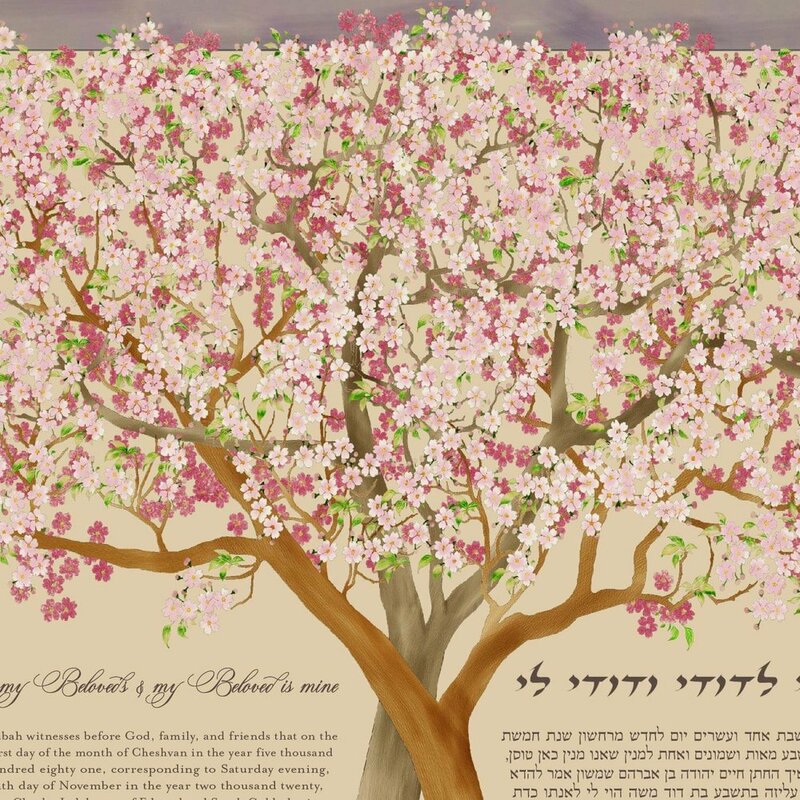 This Ketubah is designed for the 18x24 inch size.